Har fået pladser på denne tur – prisen er helt nede på 9995,- pr person på delt dobbeltværelse. Turen er inklusiv halvpension(morgen og aftensmad) og der skal kun betales drikkevarer, frokost og drikkepenge (ca 4 US pr dag). Der er rejseleder med fra Danmark og Dansk certificeret guide på turen rundt i Israel. Alle entreer og hvad der er oplyst i programmet er inkluderet. Hurtig tilmelding da rejsen allerede påbegyndes den 29.11.2018 !! Thursday 29/11-Day 1: Meet and assist at Ben Gurion Airport, Tel Aviv. Transfer to the hotel in Tiberius for dinner and overnight. Friday 30/11-Day 2: After breakfast drive to Yardenit, the Baptismal site at the Jordan River. Continue to see Tabgha, the site of the Miracle of the Loaves and Fish, Capernaum to see the ruins of the ancient synagogue, the house of St. Peter and the settlement that is also said to be the place where Jesus lived and the Mt. of Beautitudes where Jesus was said to deliver the Sermon on the Mount. Enjoy a Boat Ride on the lake enjoy the possibility to eat a traditional St. Peter’s Fish lunch. Dinner and overnight Tiberius. Saturday 01/12-Day 3: After breakfast drive to the holy town of Nazareth. Visit the Church of the Annunciation, Joseph’s Workshop and Mary’s Well. Continue to Akko (Acre). The walls, fortresses and strongholds of the city bear the marks of many nations that left impressive buildings behind them, beautifying Acre to this day. In the afternoon drive to Haifa. See the panoramic view of Bahais Gardens and the Golden Dome of the Bahai Temple & visit Stella Maris. Dinner & overnight in Tiberius. Sunday 02/12- Day 4: After breakfast, drive to Caesarea to see the Roman Theater and the Crusader Fortress. Continue to enjoy a city tour of Israel’s cosmopolitan centre Tel Aviv and then to the charismatic and beautiful city of Jaffa with its distinct and unique character and history. On to Jerusalem for dinner & overnight. visit the Last Supper Room. Dinner and overnight Jerusalem. Tuesday 04/12-Day 6: After breakfast visit the Yad Vashem Holocaust Memorial. On to Ein Kerem, the birthplace of St. John the Baptist. See the Church of St. John the Baptist & The Magnificat-and walk around this picturesque village. In the afternoon drive to Bethlehem to see the Church of Nativity, Manger Square and Shepherd’s Field. Back to hotel for dinner and overnight in Jerusalem. 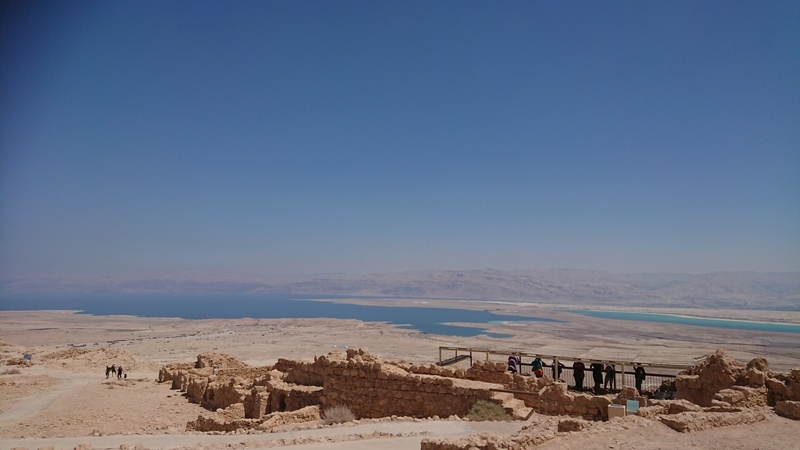 Wednesday 05/12-Day 7: After breakfast drive through the powerful landscape of the Judean Desert landscape down to the Dead Sea and visit Qumeran, where the Dead Sea Scrolls were discovered. 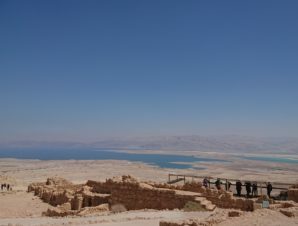 Continue to Mount Massada, the fortress/palace of King Herod. Ride the cable car to view the restored archaeological remains and learn about the tragedy of the Zealots, its last defenders. Important: Extra time of leisure for afternoon swim at the Dead Sea, the lowest point on earth. Return to Jerusalem for dinner and overnight. Thursday 06/12-Day 8: Morning of leisure. Afternoon transfer to Ben Gurion Airport for departure. Modest clothing for holy sites. Program and timings can change according to length of time at border, opening hours, availability, political situation and weather.